Studio / 1 bath The typical Studio Suite at Beaver Run sleeps 2-4 people and usually includes a king bed and a queen sofa sleeper. There is a split amenity bathroom for added privacy and a jet tub for extra comfort. 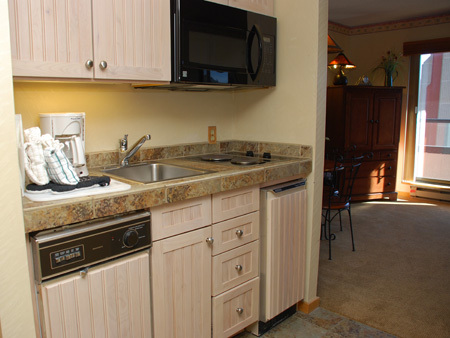 The floorplan offers two separate sleeping areas and a convenient kitchenette. This studio suite has a balcony. 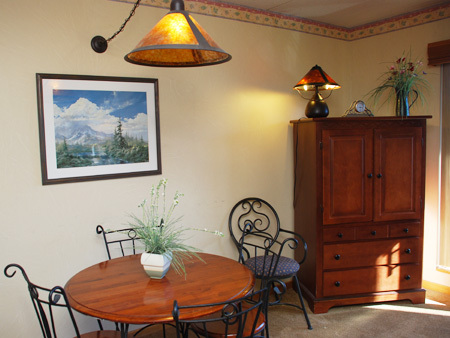 All of our Studio Suites are located in Building IV. 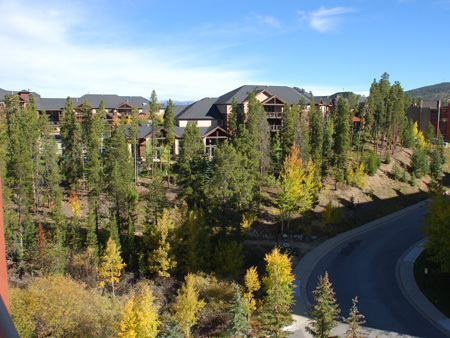 The Beaver Run Resort is located directly above the Beaver Run Super Chairlift, so it's a Ski-In/Ski-Out property.